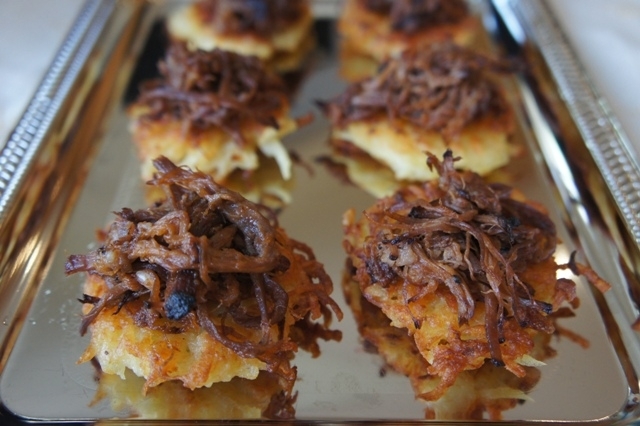 On Hanukkah is it customary to eat foods that are either fried in oil or made with cheese. 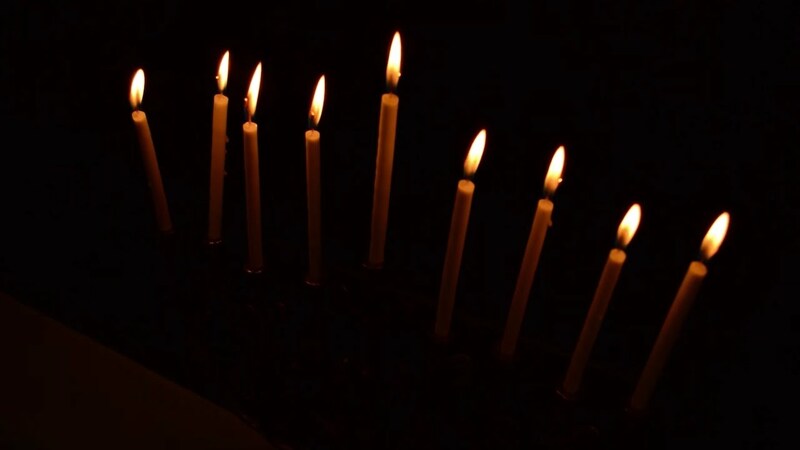 The fried foods custom recalls the miracle of Hanukkah, which centered around oil (one cruse lasting for eight days). 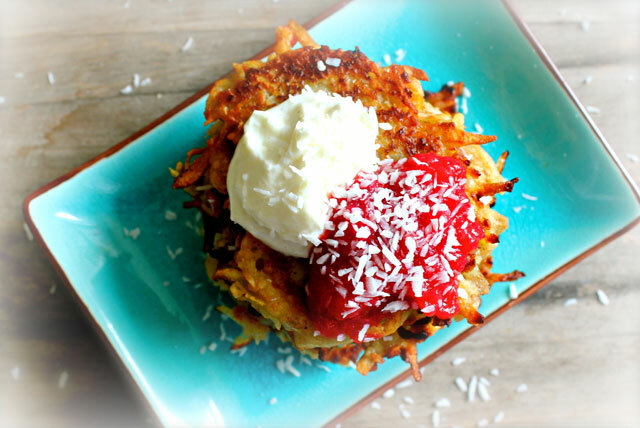 Latkes (fried potato pancakes) are traditional, topped with applesauce or sour cream, but there are many creative variations to the pancakes and the toppings. 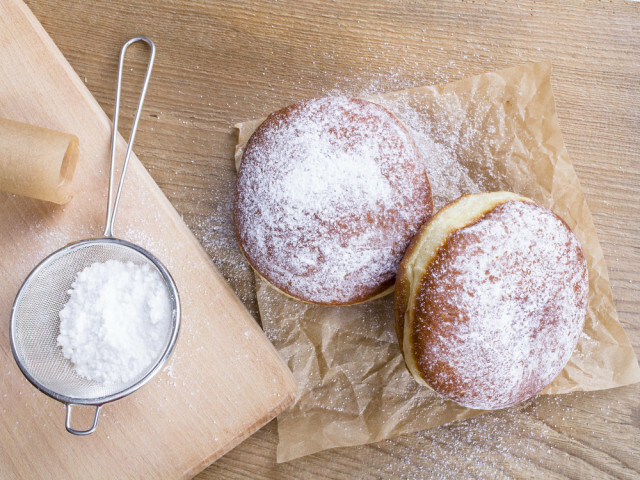 Other fried foods for Hanukkah include sufganiyot (jelly doughnuts) and other kinds of fritters. 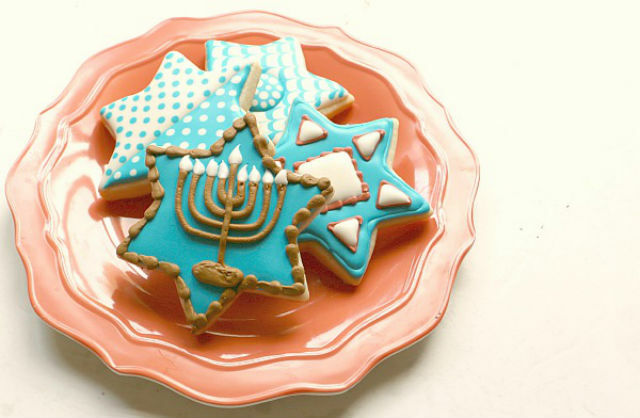 Find even more Hanukkah recipes here. The cheesy foods tradition is based on a story from the apocryphal Book of Judith which takes place during the time of the Maccabean revolt that we commemorate on Hanukkah. In it, an Assyrian warrior named Holofernes besieges the town of Bethulia, and though Bethulia’s elders are ready to surrender, Judith, a widow, enters the Assyrian camp and gives Holofernes salty cheese to make him thirsty and wine to make him drunk. After he becomes intoxicated, she seizes his sword and beheads him, bringing the head back to her village in a basket. The next morning when the Assyrian troops found the headless body of their leader, they fled in terror. While a severed head is not the most appetizing image, we honor Judith’s victorious and brave use of cheese by incorporating the dairy product into our Hanukkah menus. 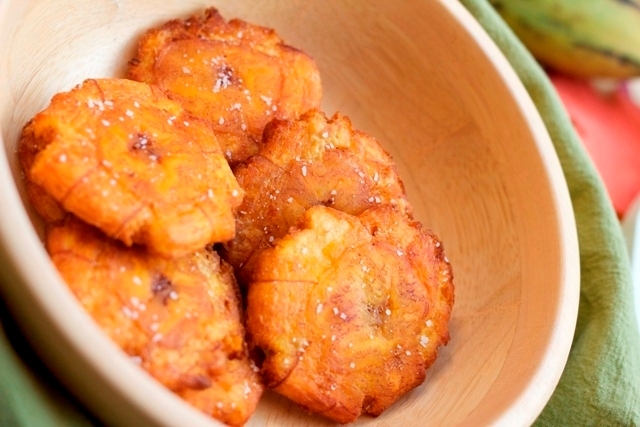 Get more holiday recipes sent straight to your inbox! 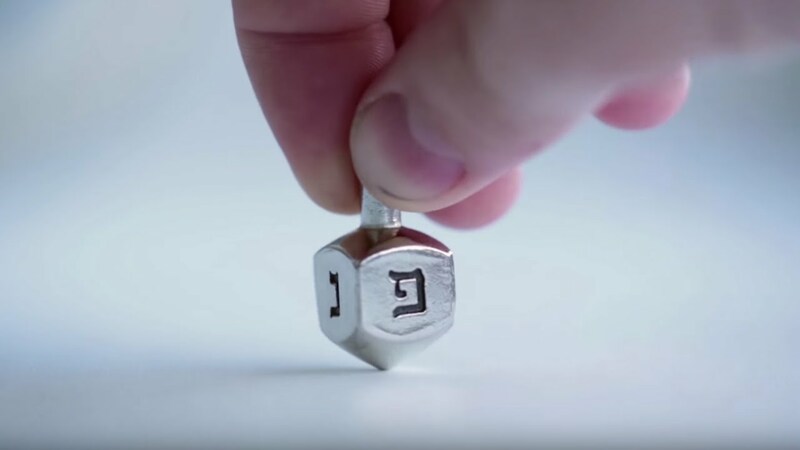 Sign up for The Nosher newsletter here.